Yoga retreats can be the perfect combination of respite and activity, offering opportunities to kick back and relax, enjoy a yoga or meditation class or participate in excursions. And best of all, someone else can deal with the logistics. You just need to show up. Whatever your dream retreat looks like, we’ve got you covered with an all-inclusive list of amazing yoga retreats including exotic destinations, mountains and jungles, beautiful beaches and some more accessible options not too far away. Find your yoga retreat below, and get packing! The mystical path inward begins with shaktipat-diksha, an inner awakening to the knowing of your own Divine Self. Swami Nirmalananda is a Kundalini master, initiated and authorized to transmit this powerful initiation. She explains how you cooperate with the inner force now burning within you. Twisters Travel returns to their 17th century chateau located between Bordeaux and Toulouse in the Dordogne Region of South-West France. Explore a land rich in vineyards, fortified ‘bastide’ towns, and a range of natural and historical heritage sites. 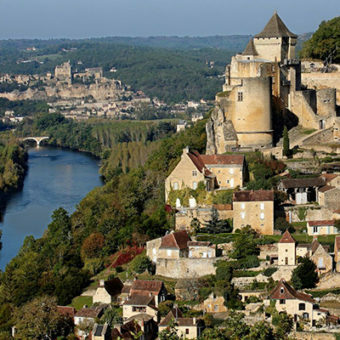 Experience the beauty of the Dordogne River; the gastronomy and regional wines; and numerous leisure and sporting activities. Only 1 room left! 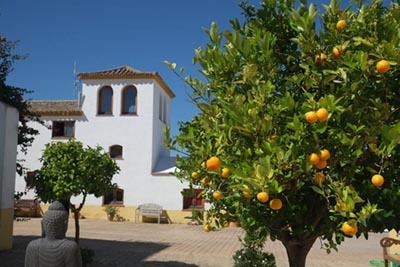 Join Masuda and Angelina for an unforgettable trip to Andalusia where you will combine yoga and meditation classes and workshops designed to energize and balance your chakras. Located in a beautifully renovated olive farm, Suryalila was named one of the best yoga escapes by Yoga Journal in 2017. Join Yoga Home co-founders Maura Manzo & Kerri Hanlon for a deeply nourishing weekend designed to bring you into greater balance, with yourself and the world around you. Yoga practices and time in nature will be both rejuvenating and restorative leaving you feeling grounded, clear and refreshed. 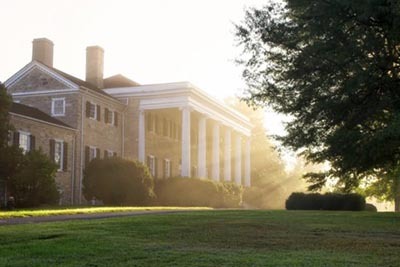 Join Dawn Curtis and Mary McIntyre for a wonderful relaxing and nourishing retreat weekend at the elegant and historic Carter Hall. 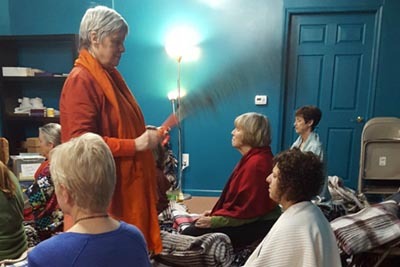 In this retreat, you will connect to both your outer world through Nature, and your inner world through Yoga. You will return home refreshed and revitalized! A Time for Pause is your chance to experience movement in a more mindful way and then to release into the beauty of stillness. Through gentle yoga, mindful vinyasa, restorative and yin yoga sessions, along with pranayama, meditation and guided relaxation, you will create time nd space for calm. To be there for others, we must go within and see what it is we need to feel good, re-energize, de-stress, sleep well and learn how to do nothing. It is in that down time that the body can heal deeply. 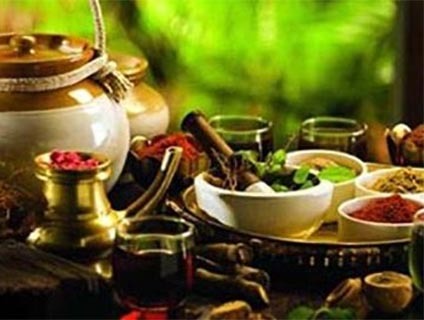 Come learn how Ayurveda, the ancient Indian system of health and well-being, along with yoga and meditation, can help you feel better, body, mind and soul. 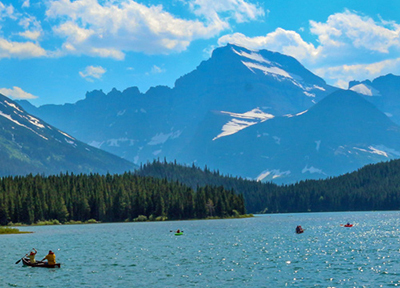 Return to your True Nature on a 6-day journey with Yael Flusberg & Amanda Rieger Green. While nestled in the powerful, mystical land of the ancient Mayas in the Belize jungle, you’ll experience a genuine and simple way of being using yoga, meditation, breathwork, journeying, and energetic healing. Join James for an incredible week in one of the most exotic countries in the world. Enjoy well-rounded, balanced daily practices, amazing excursions, and immerse yourself in the culture and traditions in which yoga and ayurveda were birthed. Learn how to make every moment count. Set the tone for how you want to live in 2019. 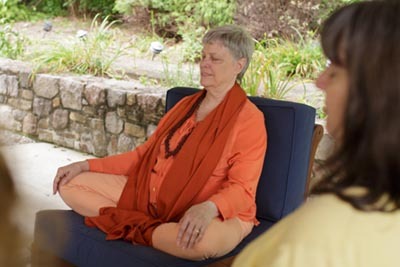 This retreat includes yoga poses, breathing practices, chanting and meditation with Swami Nirmalananda. Learn from her sutra discourses and explore your choices through guided self-inquiry. Create a trajectory for the new year. Journey with Gopi and Braja to the land of yogis and mystics, where mantra is an embodied transformative experience, food is an art of spices and flavors, and ritual a ray of color and beauty. Plants and animals reduce activity in the cold winter months to be productive in spring. It’s proof that rest isn’t laziness but necessity. Come experience an entire weekend of the most deeply restful yoga practices, including gentle yoga, restorative yoga, and iRest guided meditation at Blue Mountain Retreat Center. 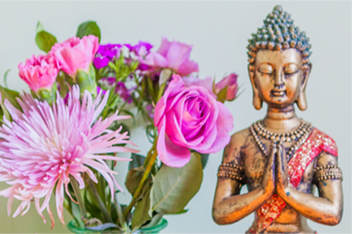 Join Sue Elkind & Naime Jezzeny for a transformative week of yoga & meditation to relax your mind, nourish your body & commit your heart to living with more joy! Portblue Le Sivory is a luxury AAA Diamond property, a true jewel, in the region of Campiña de Uvero Alto, Punta Cana, Dominican Republic. 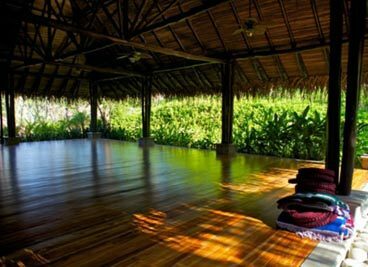 Join Shanteel Yoga Sanctuary on a journey to Pura Vida Retreat and Spa. Pura Vida means “pure life” and you will enjoy your unique experience at one of the world’s foremost Wellness & Yoga destinations. 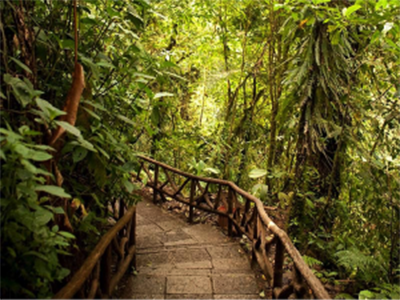 Join Shanteel in nourishing your mind, body and spirit while exploring the hidden beauty of Costa Rica. Release the heaviness of winter, and re-ignite your aliveness with practices that stimulate digestion, activate your passion, and uplift your soul. Join Mina Habibi & Marni Sclaroff for a week of rejuvenation. You will emerge from this retreat feeling nourished and fully alive, ready to step into your life with renewed wonder and joy. Study the ancient yogic system of the chakras to experience greater health, emotional stability, mental clarity and spiritual awakening. Join Masuda Mohamadi and Angelina Fox at Blue Spirit Retreat Center for a transformational week of yoga and meditation. Registered YA teachers will receive 30 CEUs. 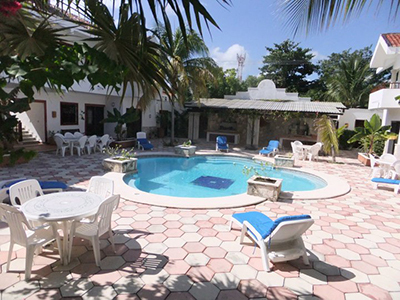 Join Dawn Curtis & Mary McIntyre for a seven day retreat of tropical bliss at Villas Shanti, in the beautiful seaside town of Puerto Morelos, Mexico. Reconnect to your body and breath in gorgeous surroundings of the Mexican Riviera! Join Twisters at our boutique luxury hotel & spa that sits atop a 200 foot cliff overlooking the Atlantic. 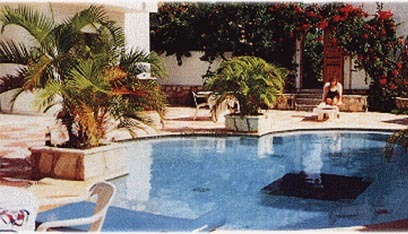 Our retreat is next to the historic seaside town of Lagos. 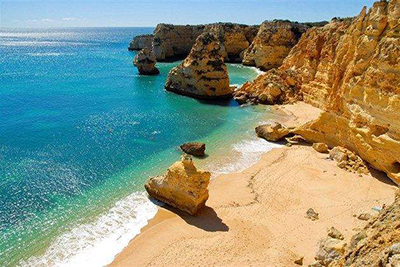 In addition to yoga classes, we will enjoy day trips; sailing alongside dolphins, touring mountainside wineries, and hiking the wild trails of the Sagres coastline. 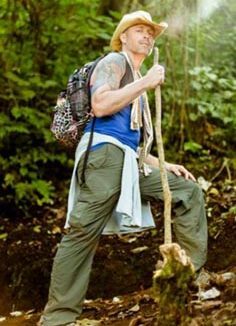 Join massage therapy educator and world traveler, Vanessa Hazzard, on a transformational journey to the Thai island, Koh Samui. Immerse yourself in the beauty of Thai culture. Breathe in the sights and sounds and learn Thai massage techniques from an experienced instructor. 200 acre yoga mat! The day is yours to schedule and enjoy. Join the group or escape to beautiful privacy. Yoga and Meditation classes throughout the day so you are free to join enjoy at your own pace. Fabulous meals, campfires, glorious Maine! 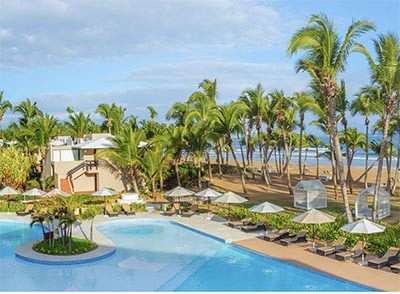 Learn more about this extraordinary retreat. In one of the country’s most beautiful surroundings, this retreat will focus on combining barre, yoga and outdoor adventure, enabling you to fully detach from the stresses of everyday life. 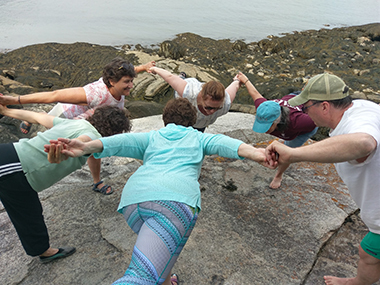 From hiking to whitewater rafting, this retreat is guaranteed to stimulate your imagination, restore your spirit and reinvigorate your practice. Having a hard time finding the best retreat for you or just committing? Let us convince you on why you need a yoga retreat and offer some tips on how to make that choice !